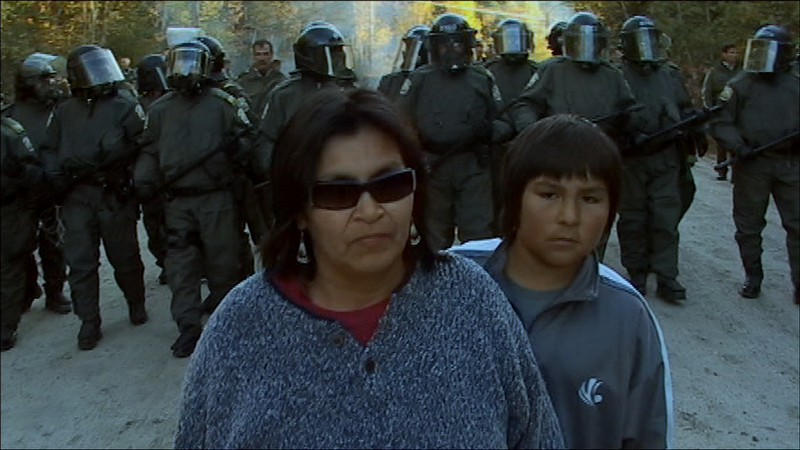 Marylynn Poucachiche and Norman Matchewan faced tear gas and police batons when they joined their parents on the barricades to defend their traditional territory in the 1980s. Little did they realize they would still be on the barricades over 20 years later, this time with their own young children at their sides. The title refers to their campaign slogan demanding Canada and Quebec honour a precedent-setting conservation deal signed in 1991. 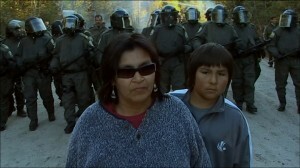 Director, Martha Stiegman, spent four years shooting this poetic, heartfelt documentary that challenges stereotypes of “angry Indians.” Honour Your Word juxtaposes starkly contrasting landscapes—the majesty of the bush, a dramatic highway stand-off against a riot squad, daily life within the confines of the reserve—to reveal the spirit of a people for whom blockading has become an unfortunate part of their way of life, a life rooted in the piece of Boreal Forest they are defending. The film draws us into the lives of two young leaders: Marylynn Poucachice, a mother of five, and Norman Matchewan, the soft-spoken son and grandson of traditional chiefs. Both spent their childhoods on the logging blockades their parents set up to win a sustainable development plan protecting their land. But it turns out signing the agreement was the easy part. Now, 20 years later, Norman and Marylynn are taking up the struggle of their youth, to force Canada and Quebec to honour their word. Their fight may seem an impossible one, but as we spend time with Marylynn, Norman and the community they are so deeply a part of, we grow to identify with the impulse driving a struggle that spans generations. We learn why for people here, standing up is a necessity, not a choice – and what compels them to do so, despite the odds.